Arms companies are currently rubbing their hands with glee as they eye up UK universities full of highly skilled students. Over at the University of Manchester, BAE Systems have been exploiting students’ labour to develop new types of drones that will have the potential to be used in conflicts around the world. At Cranfield University, BAE Systems is sucking students into their company through offering Masters level qualifications. Part of the way that arms companies ensnare students is through the platform they are given by universities to recruit on campus and promote themselves while hiding the devastating affects they have on people around the world. Privatisation and cuts to further education have pushed down standards and increased opportunities for unethical companies like BAE Systems and Thales to profit cheaply from highly skilled students. We should be fully funding further education, and encouraging and creating opportunities for students involved in STEM – Science Technology Engineering Mathematics – subjects to use their skills to solve global issues like climate change, rather than creating global insecurity through armed conflict. Thankfully, CAAT Universities Network are here to stop them! 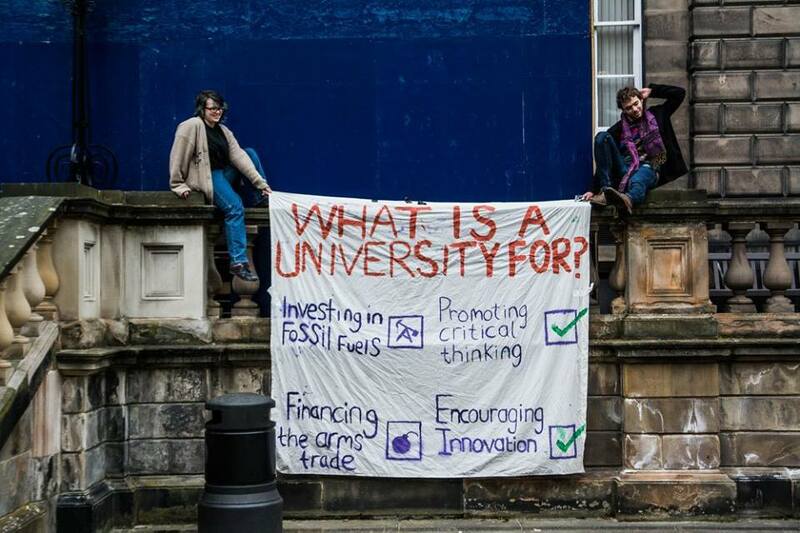 Already, students across the country have got in contact outraged at the ties between their university and arms companies. 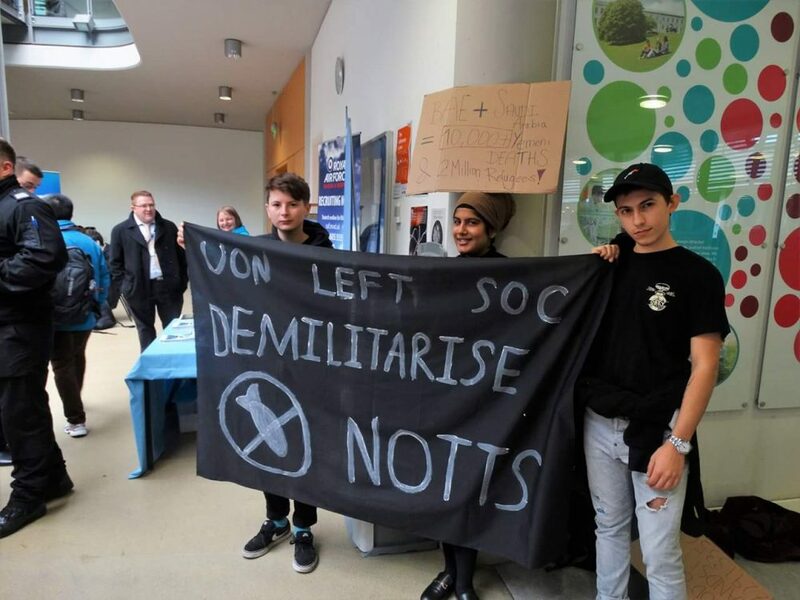 There are loads of different types of campaigning actions that students can take to remove arms companies from their campuses, whether that’s petitioning, raising awareness through a workshop or holding a protest at a careers fair like the University of Nottingham Left Society! All across the country, many universities provide and sell a massive platform to arms companies at careers fairs and are increasingly relying on them for finance research projects. Get in touch to order materials for a new round of campaigning on campus this semester. Book in a screening of The Shadow World, a film about the corruption that lies at the heart of the arms trade, raise awareness of the devastating effects of the arms trade through actions and build a student movement to cut university ties to the arms trade for good.